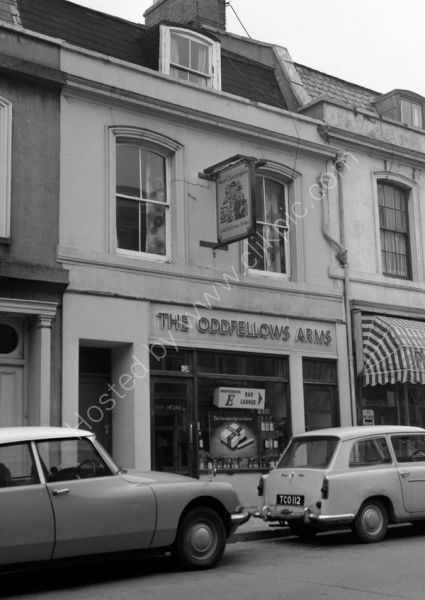 The Oddfellows Arms at 60 Devonport Road, Plymouth, Devon PL3 4DF around 1974/5. On visiting in 2010 the pub was still going and the Post Office was still on the right hand side of the pub. The Austin A40 parked outside in the 1974 photo is TCO 112. For commercial use of this photograph please visit www.alamy.com and search for A8FR83 but for a one off print, please see below.